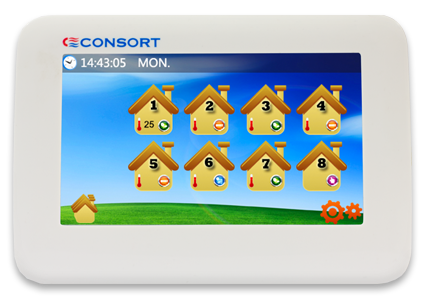 Consort Claudgen has launched their latest innovation, the MRX1 Multizone wireless controller, which offers ‘zoning’ of your electric heating system. 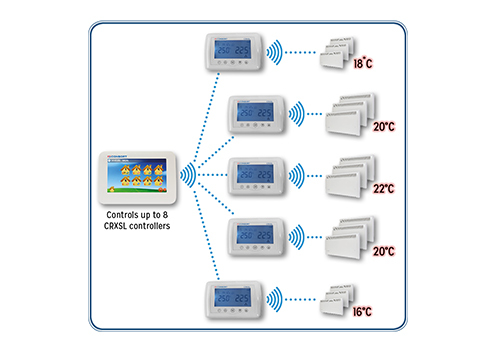 This central controller can control up to eight heating zones via existing CRX2 controllers which operate multiple Consort RX heaters in the same room or zone. The MRX1 has a large colour LCD touchscreen, is simple to set up and easy to programme. A 7-day programme featuring 6 time periods a day can be set separately for each space or duplicated across other areas, if required, saving time. Temperature adjustments for all zones can also be done simultaneously. With extensive heat control options and energy saving features, the MRX1 controller provides great energy and cost saving making it ideal for home or commercial property owners. For more details, email: sales@consortepl.com or tel: 01646 692172.